Installation and setup in 5 minutes ! 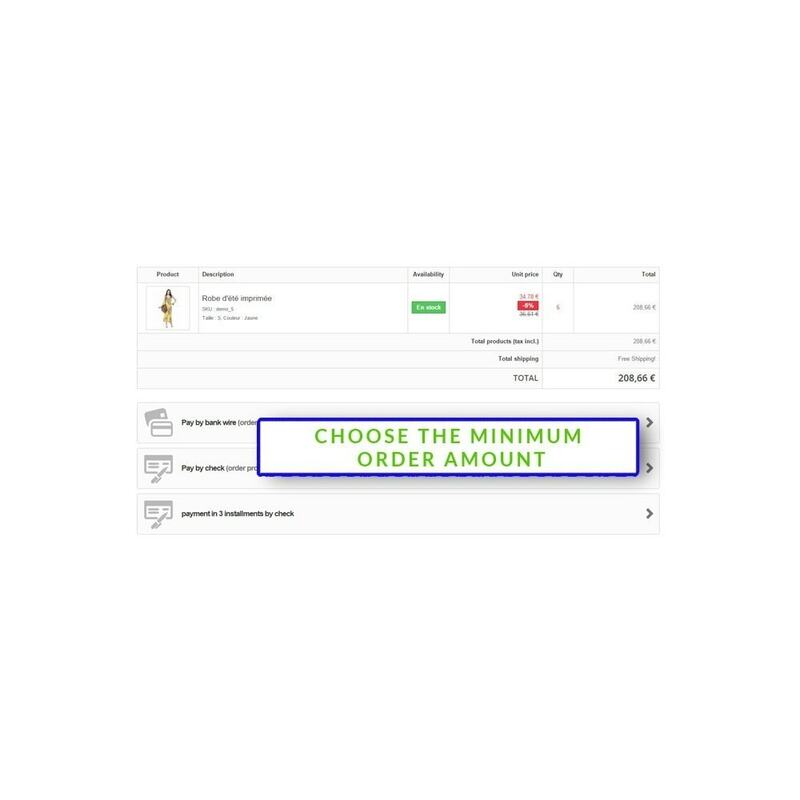 - Possibility to choose the minimum order amount from the paiment method will be avaible. 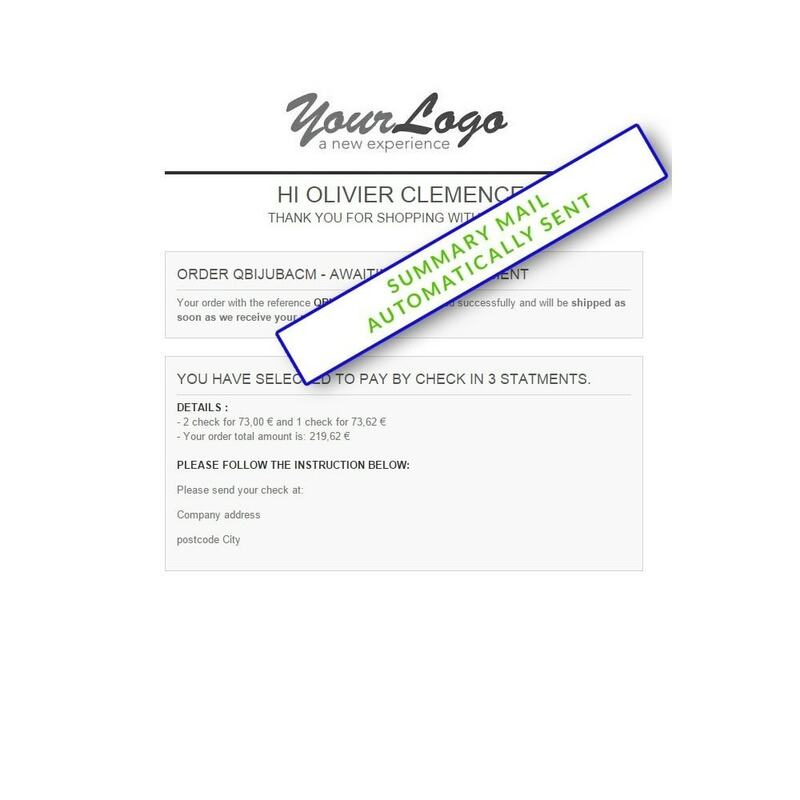 - Specify the number of check that the customer will send you. 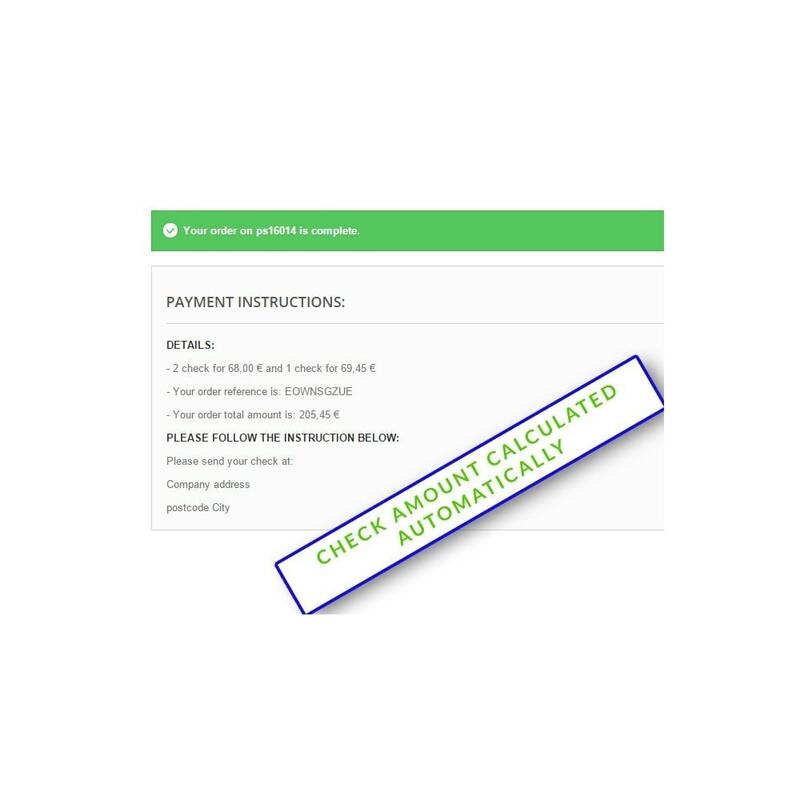 - The checks amount is calculated automatically and id smart. For example, if your customer have to pay an order worth 259.20 € in 4 installment. They will be asked to send 3 checks worth 64 € and 1 check worth 67.20 €. 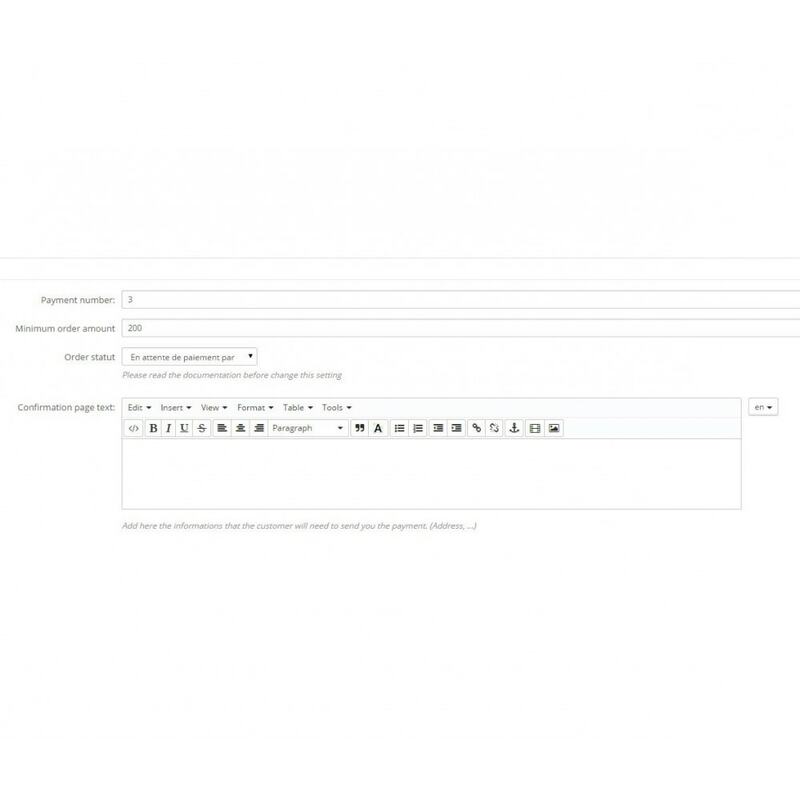 - A mail is sended automatically with the summary of each checks and the informations about how to send. - With this module it is easyer for your customers to pay their orders.